Premier for my new piece “Kanoper” which is based on egyptian burial rites. At Berwaldhallen with the Royal college of music’s symphony orchestra conducted by Staffan Mårtensson. 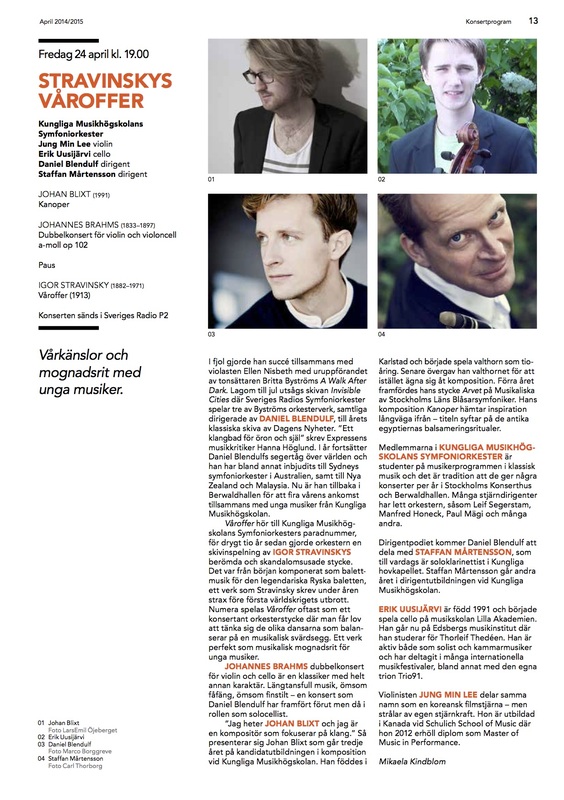 Tickets avalibale at Berwaldhallen and more information at in the season program.